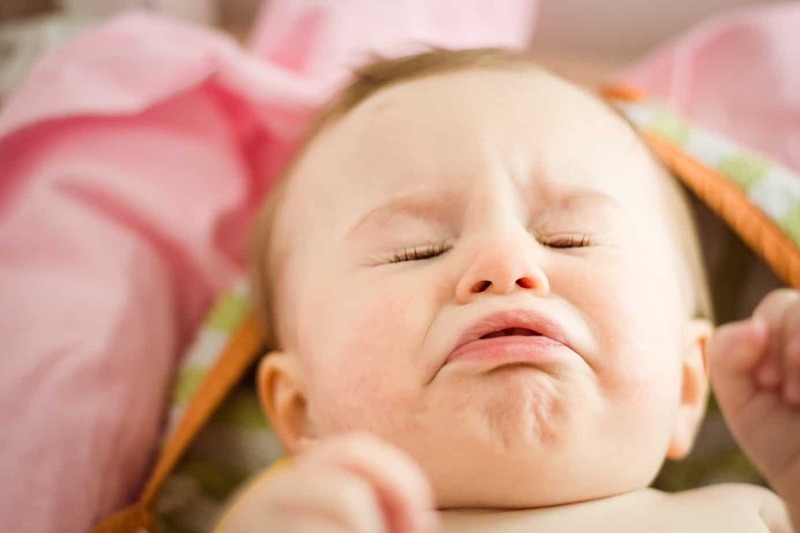 Home » Does Your Baby ‘Fake’ A Cough? Does Your Baby ‘Fake’ A Cough? The answer will almost definitely be ‘yes’ because the fact is - babies do pretend to cough. Let’s help you figure out if the cough you’re hearing from your child is a cause for alarm or just your little one meeting another milestone in his/her development. A cold is perhaps the most common cause of a persistent cough, especially in children. This is due to mucus which trickles down the back of their throat which causes a tickling sensation prompting them to cough in an attempt to clear their throat. These types of coughs might sound dry with a possible rattling sound because of the mucus. A cough that accompanies cold symptoms is usually not a cause for alarm once your baby continues to eat and sleep as he/she usually would. However, as it isn’t advised to administer over-the-counter medication to babies younger than 2 years old without medical advice, it is best to consult your physician for a recommendation. Your baby could also be attempting to dislodge something that might be obstructing his/her airway. The first course of action here is to check that there are no foreign objects blocking your baby’s airway. This cough will sound a lot different from a typical cold cough. It will be accompanied by a gasping sound and your baby might experience irregular breathing. Although the most babies may not fall into this category - as a result of a blockage - if ever your baby’s cough is due to a blocked airway, immediately turn your baby over and deliver five back blows between her shoulder blades then call for help. Another possible cause for a persistent cough is exposure to irritants and allergens such as cigarette smoke, cleaning products, hairspray or other materials that give off fumes. These coughs are sometimes accompanied by wheezing and may worsen at night or in the early morning and can last for quite a long time. A baby as young as 6-months old would not immediately be diagnosed with asthma, but if there is a history of asthma in your family, it is important that you make your physician aware of this. There is also the possibility that your little one is faking a cough just to get your attention or to see how you would react. Before babies can talk properly, they try to communicate with us through various sounds. Your baby may have noticed that certain sounds - a cry, a cough, a sneeze - get a greater or faster reaction from you. While it may be alarming to you, this simply means that your little one has hit an important milestone in her development. This is evidence of his/her becoming more aware of her environment, which is key to their development. This usually happens at around 6-months old, so your little one may be right on course. When Do You Need to See A Physician? It will be tempting to administer home remedies, but for a child as young as 6-months old, it is always best to seek medical advice first. Honey is a well-known home remedy but it is very important to note that children under 12 months old should never be given honey. If your child’s cough causes great discomfort, affects their sleep pattern or appetite, is accompanied by high fever, wheezing or any signs of respiratory distress, seek medical attention without delay. The presence of these other symptoms is also the easiest way to tell if your baby’s cough is fake or real. 1. How long has your baby been coughing for? 2. Does it get worse at night or in the morning? 3. Is the coughing affecting his/her daily functions? 4. What does the cough sound like? How Do You Stop the Fake Coughing? Since these coughs may be a sign of your baby’s progressive development, stopping them may not necessarily be something you should try to do. Much like walking or talking or teething, your baby has to pass through this stage of development. Over time you will be able to identify a fake cough from the real ones, similarly to how your ears have become more in tune with the different types of crying from hunger cry to want-to-be-held cry. You will learn how to distinguish for yourself and learn how to react to each type of cough. You can also turn it into a little game between the two of you or teach your baby new ways to get your attention. Now that you know he/she is becoming more socially aware, you can increase interactions with her. When your baby coughs to get your attention - ask them what they need, talk to them so they know that you are engaged. By doing this you will introduce something new for your baby to imitate since they learn by watching you, so more time for play and less time for fake coughing! Based on the time period during which you've noticed the coughing, if no other symptoms are present and if it sounds different from her typical cough, it is quite likely that your little one is faking it. If your baby is faking it, that’s a great thing on one hand because it means she’s developing key social skills! Despite this, it is still very important for you to share this with your physician during your next appointment. Use the sample questions shared above to help guide your visit and continue to track her coughs so you can identify a pattern if there is one. Please share this information with the moms in your circle and leave us a comment below if you found this helpful!